An eight-year-old boy from Federal Way was pronounced dead Sunday night after he was struck by a vehicle while riding his bike just a block away from his home. According to KIRO, Wayde Rodriguez-Fale was riding his bicycle near his family’s home in Federal Way at around 7:45 p.m. Sunday when he was hit by a vehicle on SW 333rd Street. Deputy Police Chief Andy Hwang said that the boy turned from 24th Avenue onto SW 333rd into the path of an oncoming car. He was also apparently not wearing a protective helmet, though Hwang said a helmet likely would not have helped given the nature of the accident. “It appears to be a tragic, tragic unfortunate accident,” Hwang said of the crash. The boy was taken to Harborview Medical Center in Seattle to be treated for his injuries, but he was pronounced dead upon his arrival. Our most sincere condolences go out to the boy’s friends and family during this devastating time. 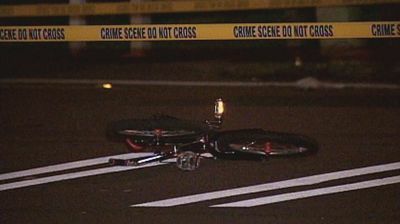 The attorneys at Davis Law Group have handled a number of high profile bicycle accident cases involving serious injuries. Our attorneys are dedicated to recovering fair compensation for victims of bicycle crashes in Washington State. If you have been the victim of a bike wreck near the Seattle areaf, contact the attorneys at Davis Law Group today by calling 206-727-4000.